Best laid plans... 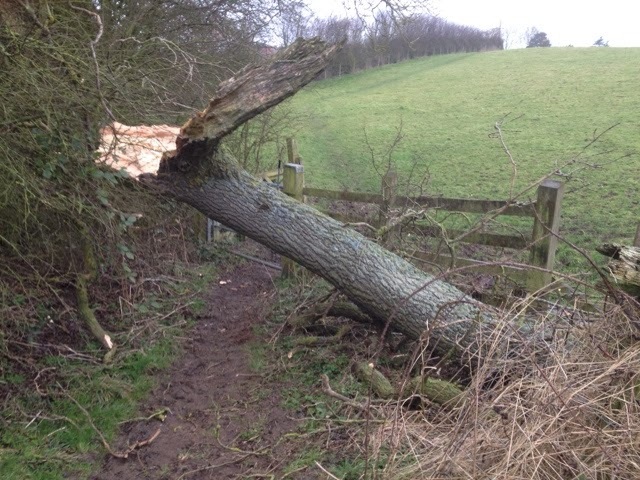 There I was just getting my schedule sorted for the weekend when the weather God obviously decided I didn't have enough to do and drops three tons of wood onto the bridle way. Not only is it in the way of those horsey types who come through on a weekend it's also smashed through 30 yards of stock fence. So guess who will be up at the crack of sparrows with the chain saws to get the pathway clear? Hey, ho. .twas ever thus ! On the upside- at least there were no alpacas in its way!